Social security card was initially designed to keep track of the citizens of the United States under the social security program. But presently the card has evolved as something that is close to a national identity card. The internal revenue service utilizes the social security number that comes along with the card to keep track of income and taxation. The social security number is issued to the citizens of the United States by the social security administration SSA. To report your income to the Internal Revenue Service (IRS), you will have to use this number. 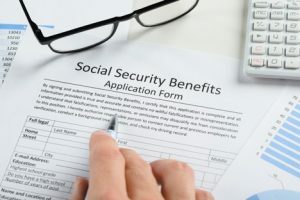 Your social security wages will be reported to the social security administration, and with the assistance of this number, they will keep track of your contribution to social security. Why the Social Security Number is so important in the US. Social security number has significant importance as it helps to keep track of your income and taxation details. To avail any social security benefits, you will have to have your social security number. When you prefer to open an account in the bank you desire, you will have to provide your social security number because not all banks accept taxpayer identification number. Concerns Over The Identity Theft. Many government officials and lawyers have expressed their concerns about identity theft. Since it is just a nine-digit number, anyone who knows the number can use the number. With just knowing your social security number anyone could hack your bank account. They can even open a new bank account on your name and carry out any illegal transaction through the account which may leave you bankrupt. In case if you lose your social security card, your first action must be to contact the credit reporting agency and intimate them to freeze your account. Once you do this, nobody can hack your bank account or misuse your social security number to open a new account. Your hard earned savings will also be safe. To avoid difficult situations, it is necessary to safeguard your social security card. Do not carry your card with you daily unless it is very necessary. Do not reveal your card details or social security number to anyone other than banking officials, employers, and other professional financial companies. How to get a Replacement Social Security Card on the same day. If you have all the original documents in hand, you can approach your nearby social security office during business hours and you will be able to get your new social security card on the same day itself without any difficulty. All you need is a couple of legal documents to prove your identity and age. Make sure to fill in form ss-4 with correct information that needs to be filled in the requisite columns. If you find it very essential and urgent, you can opt for the services of an agency that will handle most of the formalities. The will ensure that the form is filled with greater accuracy.